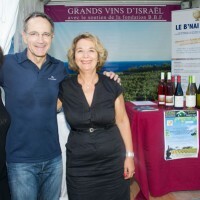 At Etoiles de Mougins in 2014, visitors have discovered a fine choice of Israeli wines highlighted by a gastronomic show by Chef Aviv Moshe. 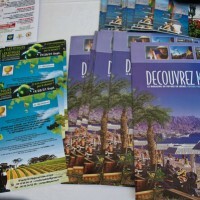 At the Etoiles de Mougins, the international gastronomy festival in Mougins, the French Riviera capital of gourmets, the B’nai B’rith Riviera and the XPA Vins company presented a range of Israeli wines at a gastronomic show with Chef Aviv Moshe from the restaurant Messa Chef in Tel Aviv. Antoine Mordiconi, partner in the operation, presented two prestigious Israeli vineyards. 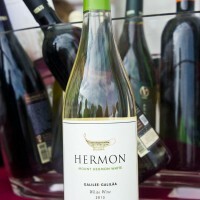 The Yarden vineyard offered the Mount Hermon Red and White and the Galil Rosé. 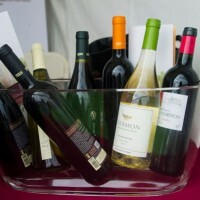 The wines from the Vitkin estate proposed the Red Israeli Journey 2012, the White Israeli Journey 2013, the Pinot 2011 (single variety), the Cabernet Franc 2009 and Small Syrah 2011 (single variety). In 2004, Antoine Mordiconi, a specialist wine lover, launched a marketing concept of “Wine by Authors” and founded the company XPA that endeavors to offer its customers high quality products. His selection is sharing values of respect with suppliers and customers in a relationship of trust and proximity. 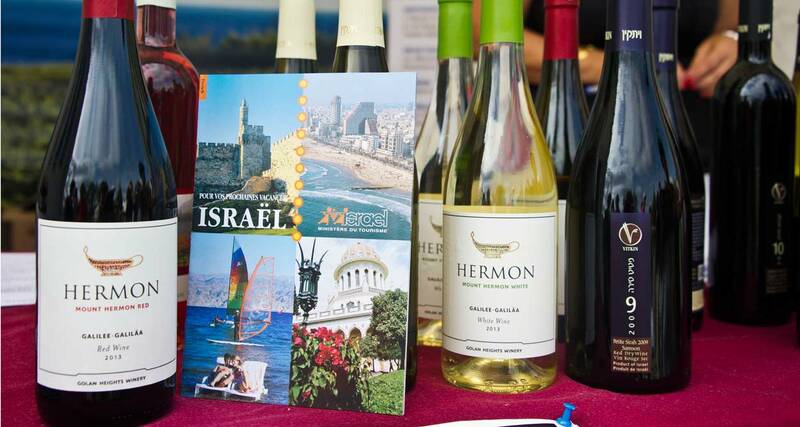 Since 2013, XPA has partnered with the B’nai B’rith to promote the wines of Israel through a rigorous and original choice of wine makers whose know-how and terroir expresses the best of Israeli regions. 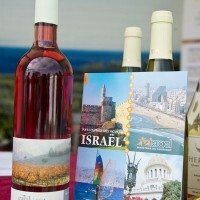 Israel, with its Mediterranean climate, is now producing wines of character in perfect harmony with its gastronomy. By the late 1970s, plantations on volcanic terrain of the Golan Heights, near Lake Genezarett, up to 1 200m Mount Hermon, gave new impetus to Israeli wines. Tasting the wines of Israel will you to a trip from Jerusalem to the hills of Judea and Samaria, from the Golan Heights to the Negev desert. 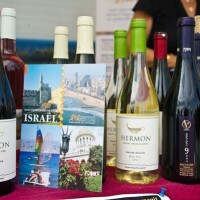 The Israeli climate favours the wine culture; its main features are high humidity in the coastal region of the Mediterranean Sea and a cold, dry weather, characteristic of the Judean Mountains and Upper Galilee. 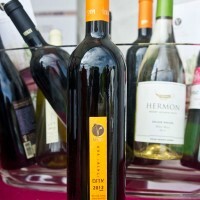 In recent years, Israeli wines have experienced a revolutionary change. New techniques and quality control have enabled wine makers to get a range of wines of great purity that takes them to the highest level. With this know-how, Israeli wines get worldwide praise and win medals worldwide at prestigious competitions. In 1983 the Golan Heights vineyard were founded in Katzrin, a small place at the foot of Mount Hermon in the Golan Heights. High technology, combined with traditional methods of viticulture, allowed them to win a supreme wine ranking. Yarden wines have received in recent years a considerable number of medals and international awards. Vitkin is a family estate, considered one of the most fascinating of the Israeli wine scene with its ability to produce wines from grapes whose quality potential has not yet been reached. These varieties are cultivated throughout the country: Carignan at Mount Carmel, the Little Syrah and Cabernet Franc in the Ellah Valley and the Judean Mountains, the Riesling and Pinot Noir in the Judean Mountains. B’nai B’rith International is the global voice of the Jewish community. B’nai B’rith International is the oldest and more widely known Jewish humanitarian organization. Based in Washington, it has offices in New York, Paris, Brussels… In 2011, “Valuing Israel”, a committee to support the development of Israel, was created to fight against international BDS campaigns advocating a boycott of Israeli products. 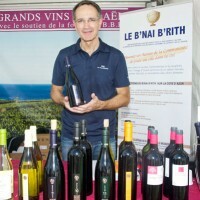 B’nai B’rith France initiated a policy of showcasing and tasting the wines of Israel, some of which have achieved a true international recognition as a high-quality wines. The chef Aviv Moshe, from the restaurant Messa Chef in Tel Aviv, and pastry chef Meir Alaluf, also attended the Etoiles de Mougins. Together, they concocted a recipe at the workshop space on Valrhona street. Aviv Moshe works according to the memories of her mother’s cuisine. The Moshe Aviv menu is a popular interpretation of his favorite dishes, combined with the techniques of cooking of Provence and southern Italy. His culinary career began in 1992 at the restaurant Château Ein Karem in Jerusalem. Two years later, he became the chef of the central kitchen of the Hotel Neptune in Eilat. 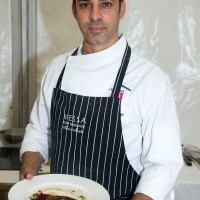 In 2004, following a variety of experiences, Aviv Moshe joined the prestigious restaurant Messa Chef, one of the major, most prosperous of the culinary scene of the city and the country’s most elegant. Because of its beautiful decoration, the famous magazine of decoration Wall Paper has listed it among the 50 most beautiful restaurants in the world. The Messa Chef restaurant is the only Israeli restaurant featuring in the list of 80 best restaurants around the world, the famous Conde Nast Traveler’s Hot List. This has earned chef Aviv Moshe much praise in global magazines by the key opinion leaders around the world, including the famous food critic Gilles Pudlowski.